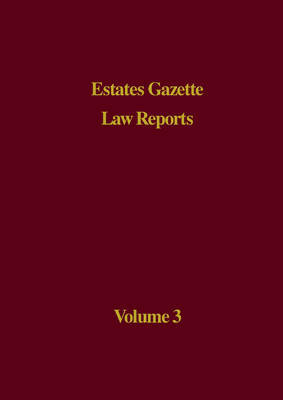 EGLR 2009 Volume 3 is a fully referenced compendium of the law reports published in the Estates Gazette magazine between October and December 2009. The index makes up the cumulative index for all EGLR volumes published between 2008 and 2009.
landlord and tenantvaluationprofessional negligenceconveyancingreal propertyleasehold enfranchisement compensation. They comprise the law reports published in the Estates Gazette plus new and original cases published for the first time in EGLR. Cases are selected by HH Judge Hazel Marshall QC, Senior Chancery Judge at the Central London County Court.